Yo, what’s up everyone? It’s the Moe Train.. And this is a call to action.. That's right. This is a CALL TO ACTION. 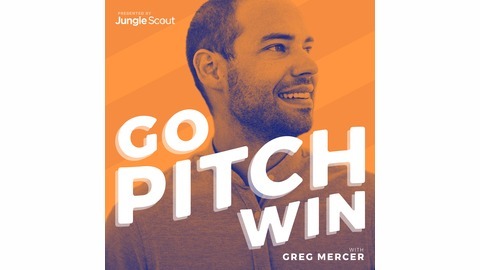 Tomorrow morning, Wednesday April 24 2018 at 10:30am EST, a very important episode of Go Pitch Win by JungleScout, hosted by Greg Mercer, hits YouTube and iTunes. Go Pitch Win is a podcast where entrepreneurs can pitch their business ideas to the host and other industry thought leaders. Each week, Go Pitch Win releases three episodes. In two of the episodes, entrepreneurs pitch their ideas, and in the third episode, the host drops the hammer and chooses a weekly winner. Greg chooses the top three finalists, and then the podcast will get help from the community to choose the overall winner… who will win $10,000 in prize money from Jungle Scout. 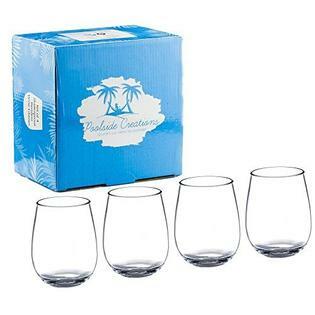 Poolside Creations, a fantastic company who sells elegant, unbreakable, stemless plastic wine glasses will be featured on the show. I have quite a few of these glasses, and I gotta say… these glasses are fantastic. If a wine glass company was founded by a sommolier… aka a wine expert… there’s no doubt that the glasses HAVE to be impeccably constructed to maximize the full potential of every wine. You all know The Train enjoys his beverages and fine wine… These glasses are the real deal. I’ve used them for red wine, white wine, and even cocktails, and they drink just like you had an actual stemless glass in your hand. Check out Poolside Creations on Go Pitch Win, tomorrow morning at 10:30 AM EST on YouTube, and check it out later on iTunes… When (not if) they win this round, I’m gonna call on everyone again to vote Poolside Creations as the Champions of Go Pitch Win! It’ll be an offer, you can’t refuse.